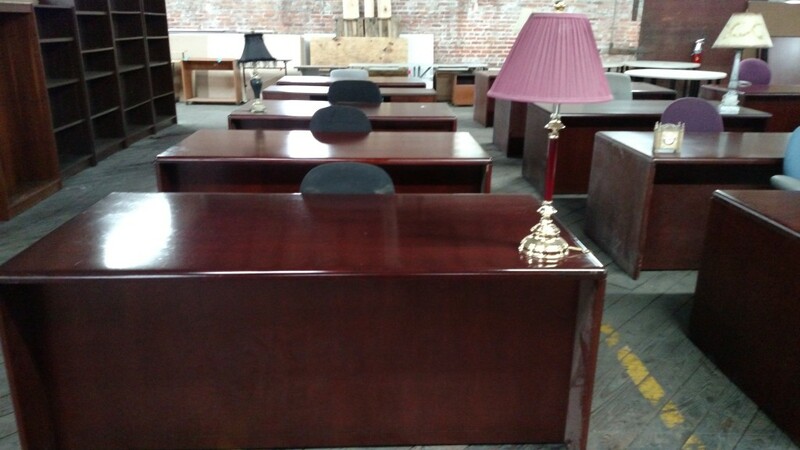 Take pride in a desk that’s functional and attractive with this double pedestal desk. Rich wood veneers and hardwood solids work together to create a desk that demands attention, while crown molding and satin nickel hardware set it apart from the crowd. This beautiful desk features four utility drawers with removable dividers, two letter/legal sized hanging file drawers and a convertible keyboard/pencil drawer. A fully finished back makes this desk look great whether pushed up against a wall or in the middle of the room.